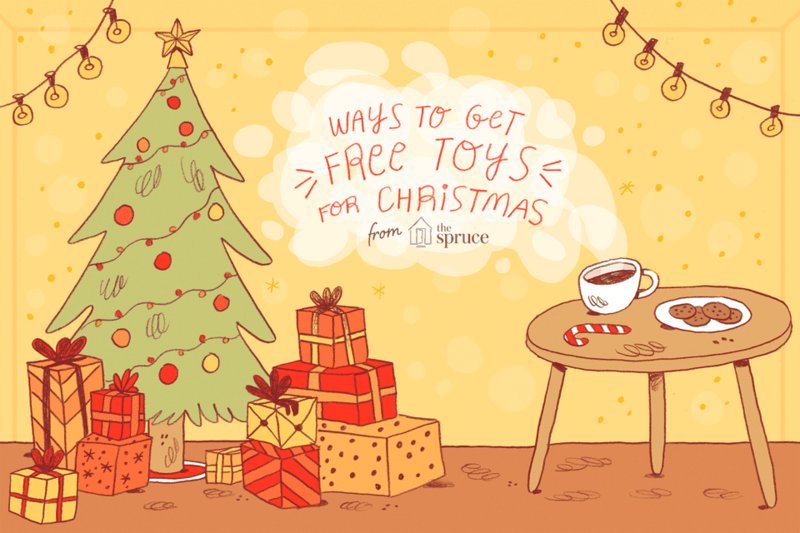 There are many ways to get free toys for Christmas and the holiday season, but for those who know that saving enough money ahead of time could be a challenge, it is important to plan ahead. Unfortunately, disasters, illnesses, and the unthinkable can happen. Christmas and the holiday season is stressful for many families who struggle with everyday expenses. Due to the high cost of living, some families live paycheck to paycheck, and this can leave very little money to purchase toys and items for family members during the holidays. No-one wants to see a loved one, especially a child, without at least 1 gift to brighten their spirit during the holidays. Toys for Tots is an organization coordinated by the Marine Corps, with individual locations throughout the nation. The organization secures and sorts toys donated by members of the community. After filling out the application, a coordinator will contact the applicant. Toys for Tots aims to provide each child, ages newborn to 14, with 1 new large toy and 1 new small toy for Christmas. Items provided are limited to toys available at the time of the request. Community churches often coordinate toy drives in the weeks before the holiday. Even if they are not able to donate a toy, many also collect gift cards and food donations that are given to families in need, too. If a child participates in services through agencies like Early Intervention, Headstart, Child Welfare programs where they are provided with free services due to their income, developmental delay, or because of a traumatic event, many of these organizations coordinate toy donations for the children in their programs during the holidays, too. Check out websites such as Freecycle.org; members use this resource to list items they would like to give away for free. Many neighborhood groups use Facebook to communicate. A popular way to sell and find used toys is through an Online Yard Sale Group on Facebook. These groups are listed by specific town and city locations. Search within the group for new or gently used toys. Place a post in the group if you are looking for a specific toy. Families are frequently decluttering their playroom and want to sell or donate new or gently used toys, often for a fraction of the original price, in the months before the holidays. Many children do not notice if a toy has been gently used and will be excited to see something new and different. Coordinate a toy swap with friends. Set a date and time for friends to get together and bring toys in good condition. Draw numbers, then pick an item from the pile that your children might be interested in. Bloggers and writers on the internet frequently offer contests on their websites for toys and other items provided by manufacturers, especially near the holidays. Visit websites such as Online-Sweepstakes to search for giveaways for specific toys and gifts. While it can be time-consuming and entrants will have to share their email, not all giveaways have a lot of entries, and the chances of winning can be good. Find out about giveaways and contests with toy companies and bloggers on social media channels. Search for the toys you think your child would like, then like and follow companies on social media on Facebook, Twitter, and Instagram. Create special lists of these companies and check their social media pages often to see if they are offering readers and fans a chance to win something new. Become a toy tester and sign up for toy testing and home shopping surveys. Many organizations want feedback about their products and reward participants with free toys after filling out a survey or participating in secret shopping trips. Do you have a local company in your area? Toy companies often coordinate focus groups and research activities for parents. Some companies have toy testing play labs for kids, where kids go into the company and play with toys that are currently in development. Often, children and parents are rewarded with toys and gift cards for sharing their time and opinions.